The key to winning in real estate is simple: Selling a property for more than you bought it for, and more than you put into it in terms of renovation and improvement. It sounds pretty easy but it isn’t. You need to be careful and toe the line between spending a ton of money on and ensuring you get a fair return. There, of course, has to be noticeable improvement, but so so much that you find yourself out of pocket when it comes to notching up the balance sheet. 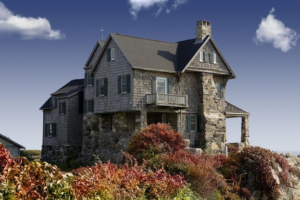 Ensuring your investment is profitable is paramount, but as is ensuring the house sells. This article can help you think of suitable changes to make to a home before letting out or selling altogether. You may have even of thought about some of these tips, and only you will know what is ultimately suitable for the home you have bought. Yet read on, the tips could help stoke deep held ideas and push you into making the right decisions with your investment. Good luck! In the first instance, you want to look at the kitchen. They are expensive to renovate and change, but you can make this money and more back off the home when it comes to selling. The key is in uniqueness. If you make it unique and different in a good way the value of the home will spike because there aren’t others like it. Consider hi-macs worktops. Or maybe even hiring a designer to think about something great to do to the kitchen. If you are working on a kitchen that is a lot smaller, simply changing it and modernising can lift the price of the home, though not as much as being bespoke. 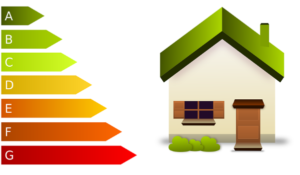 Another area to look at is in the energy efficiency of the home. These days buyers are looking for homes that are great for energy. Not only because they cost less to run but also because they are better for the environment, something that more people now than ever are conscious about. Look into cavity wall insulation, then perhaps loft insulation. You can even look at solar panels on the roof. If you get it done on the back of the house, the front can prove unsightly and end up putting people off a purchase. A home’s floor does much for its value. If the floor is carpet or cheap hard floor then changing it to a more premium wood can increase value by a huge amount. If there is already a decent floor in the home it is best left there. No point changing something that won’t add too much value. Checking the electric and gas in the house is good too. Rewiring is expensive, but again you’ll make this back. It is important to have a well-wired home to ensure electrical efficiency. The same of gas. You could consider getting a new up to date boiler installed to ensure burning efficiency too. These additions are a sure fire way to increase a home’s value.